While most of the carmakers worldwide are currently displaying their latest prototypes and EV concepts at the 2016 Paris Motor Show, others are already testing out their all-new models for an official unveiling next year. 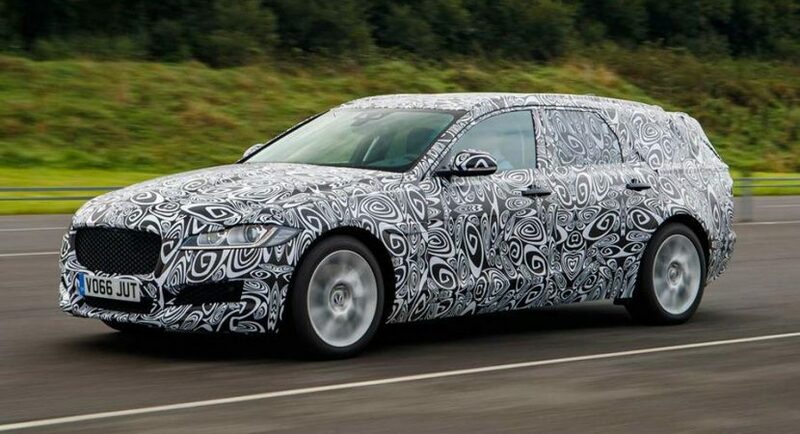 It is the case of British manufacturer Jaguar, recently taking the future XF Sportbrake for some tests in full camouflage, before an official unveiling next year. The spy photo seen below is actually the first official image with the new Jaguar XF Sportbrake undergoing road tests, the test mule wearing full camouflage around the body styling, which indicates new updates. The test mule is showcasing us a front design with influences from the sedan version, coming with the usual B-pillar and adding as well a flowing and sleek roofline, which reveals a wider rear end with much more prominent rear side windows. There are other fresh styling elements that the model would be coming with, like narrower rear window which gives away smaller roof-mounted spoiler. For the moment, this is what we know about the car`s new design. More than that, according to new reports, the future Jaguar XF Sportbrake is also said to stand on the same aluminum architecture as the sedan version, making room for a wide array of engines. We should thus see the all-new 2.0-liter petrol Ingenium flat-four engine, the same one underpinning the latest land Rover models, developing 197 horsepower, 247 horsepower and 296 horsepower, respectively. Later on, the company would also add the 3.0-liter V6 petrol and diesel engines, followed by a 2.0-liter diesel as well.